Fix My RV is THE BEST and most reliable Phoenix mobile RV repair service that you can call upon when you are on the road and have issues. We are based in the RV mecca of Peoria, Phoenix, and Surprise Arizona. 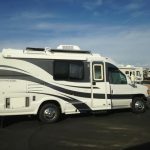 Travelers and RVers, often called snowbirds here rely on the expertise of Jeff Averyt, Certified Master RV Technician that owns and operates Fix My RV. We are an authorized service center for Aqua Hot RV heating systems, and we stock the necessary Aqua Hot parts that you need should a problem arise, or maintenance need to be made. Oftentimes, clients have issues with electrical systems on their RV. We are here to help. Call us with your RV electrical repair questions, 623-875-5015. We can come out to you and troubleshoot various RV repairs that you need made including Aqua Hot Repair, mobile RV repair Phoenix AZ, RV air conditioner repair near me, RV water heater maintenance, and RV antenna repair. Have questions about your Aqua Hot System and how it works with your RV Electrical System? Aqua-Hot Hydronic Heating Systems are quickly becoming the most prevalent systems found in upper scale RVs today and can require annual service work to maintain the unit’s efficiency. Fix My RV is happy to assist our customers with the installation, repair, and recommended maintenance of your Aqua-Hot Heating System. If you have any questions about Aqua-Hot heating systems or products or would like to schedule an appointment for mobile RV service, please call us at 623-875-5015 today.